Skogsröjet Festival 2016 will take place in Rejmyre, Sweden on August 4-6, 2016. W.A.S.P., Thin Lizzy and Helloween are among the bands that will perform at Skogsröjet 2016 festival. Karmøygeddon Metal Festival 2016 will take place in Kopervik, Norway on April 28-30, 2016. 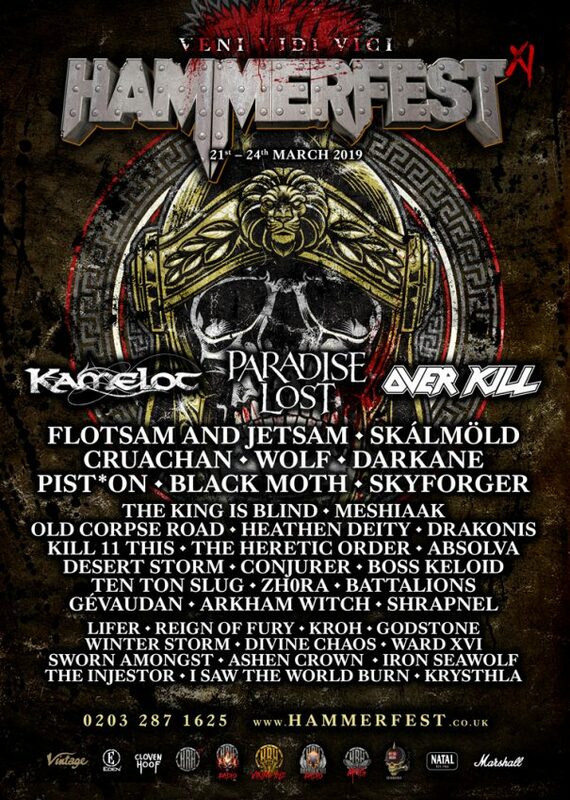 Sodom, Candlemass and Samael are among the bands that will perform at Karmøygeddon Metal Festival 2016. Loud Park 2015 will take place at Saitama Super Arena, Saitama, Japan on October 10-11, 2015. Slayer, Megadeth and Carcass are among the bands that will perform at the Loud Park 2015 festival. Sweden Rock Festival will take place in Sölvesborg, Sweden on June 04-07, 2014. Black Sabbath, Emperor and Sodom are among the bands that will perform at the Sweden Rock Festival 2014 festival. 70000Tons of Metal will be sailing out of Miami to an unknown destination on January 27-31, 2014. Carcass, Death Angel and Dark Tranquillity are among the bands that will perform at the 70000Tons of Metal 2014 festival. Sabaton, Kamelot, Exodus, Primordial, Armored Saint, Moonsorrow, Suicidal Angels, Warbringer and Orden Ogan are the latest bands confirmed for Bang Your Head!!! Festival. Bang Your Head!!! will take place in Messegelände Balingen, Germany on July 13-14, 2012. Arch Enemy, The Devil’s Blood and Exodusr are among the bands that will perform at the Bang Your Head!!! 2012 metal festival.